Vapid Spellcaster was a long time lemming of mine, having passed it up the first time it was available for sale in the HHC facebook group. The HHC group relaunched it not too long ago and I was able to get a bottle! So here it is, quite a shifty wench and very stunning in full sunlight. I wore two coats with topcoat and it has lasted without chipping for about seven days. 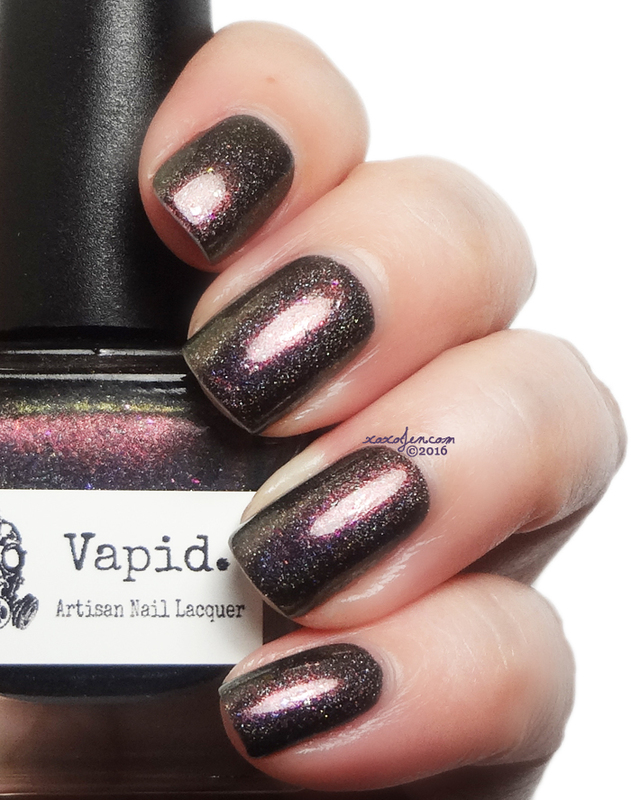 I love the wear time on Vapid polishes! The polish looks bronze most of the time but upon closer inspection, the shifting pigment, flakies and holos are quite apparent. I had read some people bashing this polish, saying they preferred the old, round bottle formula. Thankfully, that negativism seems to have been a flash in the pan and all I see now are praises for this beautiful polish. 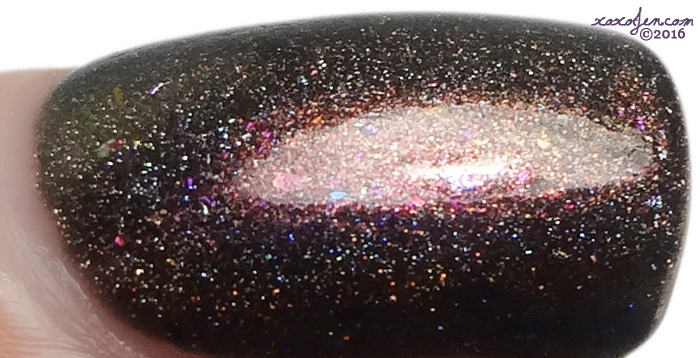 It is a gorgeous polish and your swatches, oh my gawd, beautiful!